I spent yesterday afternoon reading about the latest controversy swirling around rapidly-failing digg.com, a mainstay of the social web. Digg founder and CEO, Kevin Rose, recently chose to follow in the footsteps of Goethe's Faustus when he sold his company's soul to advertising partners. Dr. Faustus fared better in choosing to deal directly with The Devil. Dr. Faustus was granted many years of productive accomplishment in the term sheet of his bargain! 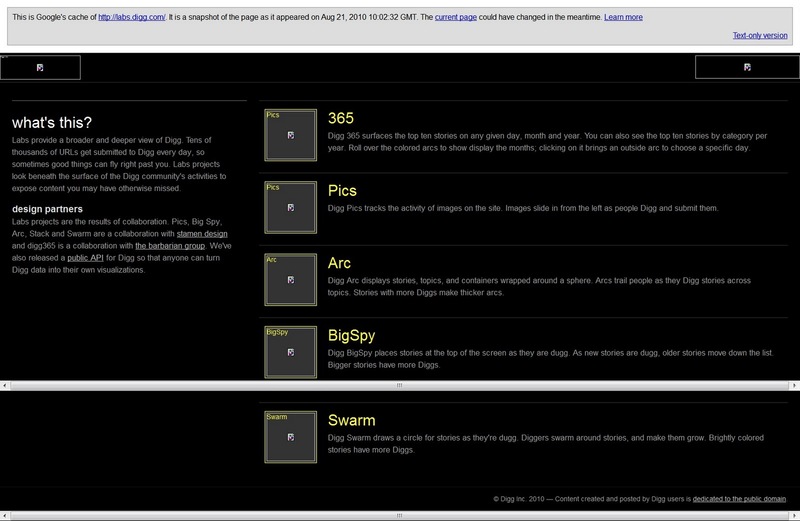 Yet Kevin Rose departed Digg a scant two months after Digg 4.0 went live in August 2010! A replacement CEO was hired, who now struggles to triage the sinking ship that is all that remains of Digg. During the past several weeks, Digg slashed one-third of its workforce while watching site traffic plummet by 40% as loyal users continued their mass exodus. However, yesterday's events may well be the coup de grace. Lt General Panda, a long-time Digg user, released a series of spreadsheets, documenting the means by which Digg management, perhaps led by the new CEO, perhaps instigated by former CEO Kevin Rose, chose to alter its news-story selection algorithm. The algorithm is intended to reflect the Voice of the Digg User. Article submissions are classified by topic: current events, computing, security, gaming, technology, education, business, policy, world news, health, entertainment and humor. 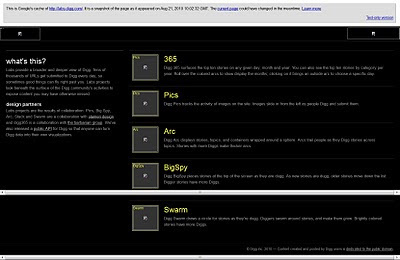 Digg's proprietary algorithm was developed by the now vanished Digg Labs. The algorithm monitors Digg user input regarding perceived merit of submitted articles, which is then used to determine and adjust each article's relative visibility on the "front page". That is oversimplified. Digg provides more detail in the FAQ. Lt. Gen Panda's story was quickly picked up by TechCrunch, suggesting that Digg tampered with its own proprietary algorithm in order to give greater prominence to items of interest to advertisers, rather than users. Advertisers already had a strong presence on the site, with banner ads and sponsored stories. 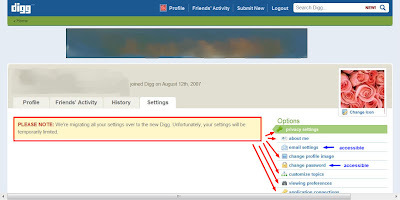 By removing the Digg user community's freedom to select content based on merit, Digg management effectively removed all motivation to use Digg. After all, one can view as much display advertising and media news feeds as one wants simply by subscribing for free to feeds delivering stories via browser or newsreader. The second topic of this post was suggested by the fact that Lt General Panda uses Zoho productivity applications, displaying the results of his forensic audit of Digg's behavior in a Zoho spreadsheet. The spreadsheet was included in TechCrunch story coverage and posted on Lt. Gen Panda's own Tumbler blog. It was actually running as a user submitted article on the public pages of Digg, although admins have most likely removed it by now. This was my motivation for investigating Zoho. I've used MS Excel, Lotus 1-2-3 or Google Docs for all my spreadsheet and office-type productivity needs and had very little awareness of Zoho prior to Lt General Panda's Digg expose. My first question was this: Are Zoho spreadsheets compatible with Google Docs? Yes, they are, according to this Zoho blog page with an embedded spreadsheet listing all file formats supported by Zoho. Next question: Why use Zoho? Well, Zoho does have quite a stable of products. This is evident from the copious assortment of Zoho Product blogs, almost as many as Google itself. Well, Microsoft has many product offerings too. So does Adobe, and probably lots of other office productivity suites. Yet Zoho is impressive nonetheless. If evaluating a transition, first check this list of browsers and apps supported in Zoho.